Rimping Supermarket in Chiangmai, Thailand, is trialing an environmentally friendly alternative to plastic packaging in the rather jolly green form of banana leaves. Their efforts coincide with an increasingly visible global initiative to reduce plastic waste. Rimping Supermarket’s solution has caught the attention of the internet and has received an enthusiastic response. Colorful photos shared on Perfect Homes Chiangmai’s Facebook page depict the supermarket’s vegetable produce wrapped in strong banana leaves instead of the plastic we have become so familiar with. The strong leaves appear to make for perfectly efficient packaging, and are held closed with a natural fiber tie. Wrapping with banana leaves is certainly nothing new to southern Asian culinary culture. Indians have used banana leaves to plate rice dishes for centuries, while neighboring China, Thailand, Vietnam, and Malaysia have utilized the ingenious “no-plastic-needed” trick for wrapping food for just as long. There are myriad benefits to using banana leaves over plastic packaging. For one, leaves are organic matter and will easily compost, unlike their plastic counterparts, which will take anything between 50 and 200 years to fully break down. 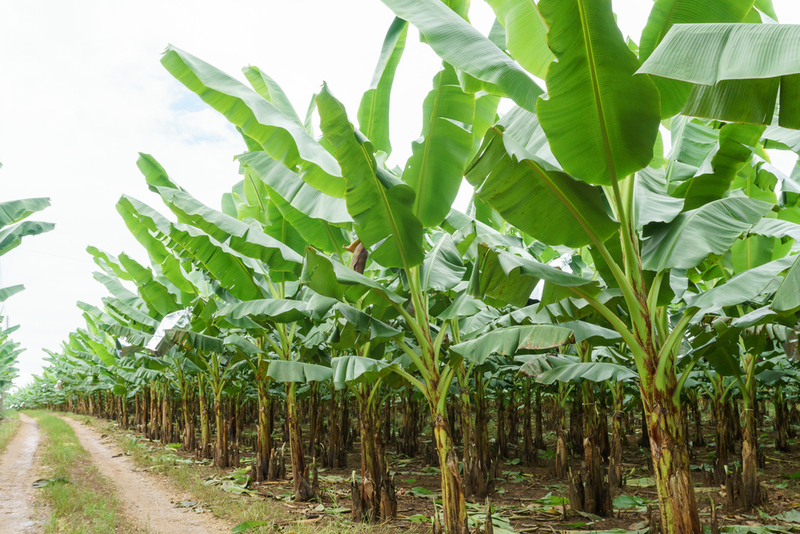 Banana leaves, besides composting effectively, also add nutrients to the soil and will, over time, improve the capacity of the soil to nurture new plants and crops. 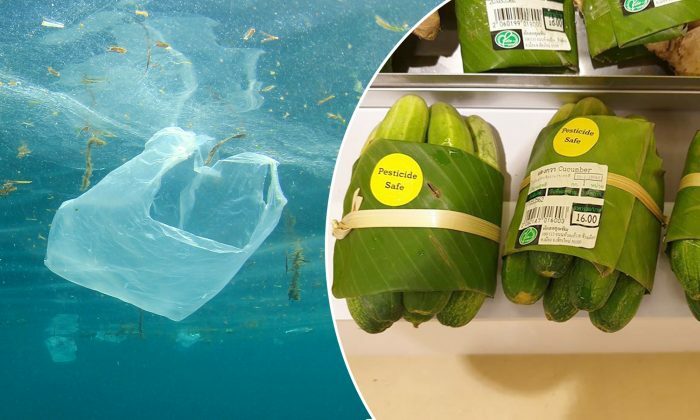 The supermarket’s new eco-friendly packaging could actually help the environment, rather than hinder it, and that’s a huge bonus! Rimping Supermarket was smart in its choice to use banana leaves specifically. The bright-green leaves are thick, broad, and flexible. They can be wrapped and folded easily without breaking, and can even withstand a wide spectrum of temperatures (perfect for the chilled produce aisle!). Nature is rather miraculous, and as such, banana leaves even boast the quality of being waterproof. Their waxy, non-porous surface means that the leaves will not absorb water if exposed to damp or humid conditions. They’ll resist the sometimes humid atmosphere of Chiangmai, and other locations that may adopt this green alternative to plastic packaging. Not to mention, they’ll resist water from the vegetable produce and won’t spill any nasties (like toxins, dyes, or irritants) back into the edibles, either. Customers, perhaps unsurprisingly, have also been swayed by the cheerful, bright green of the wrapped leaves. What better way to exemplify nature’s bounty and add a touch of color to the supermarket shopping experience! People responded in droves to the photos on social media. Messages contained a mixture of support, enthusiasm, and a few sensible questions. “Little steps make a big difference. Change is coming!” wrote one supporter. “Oh yes. Great compost for the garden,” shared another, while a different user commented on the improved visual effect: “This is actually beautiful,” they wrote. “Did you see plastic behind the banana leaf wrapping?” asked one eagle-eyed user. Perhaps the leaves haven’t yet entirely eradicated the need for plastic in the packaging and presentation of perishables, but banana leaves are certainly a huge step in the right direction. Banana leaves are available all year round in Thailand, so if Rimping’s customers continue to respond well to the natural packaging alternative, then perhaps these leaves will become a permanent fixture. Kudos to Chiangmai’s Rimping Supermarket for making a decision that will reduce the city’s plastic consumption. Let’s hope that supermarkets elsewhere take a (banana) leaf out of their book!